"Best surgeon and a caring doctor!!!" "Dr. Nezhat is a genius." "I can honestly say that Dr. Nezhat is my savior in so many ways!" "I will forever be grateful to Dr. Farr." 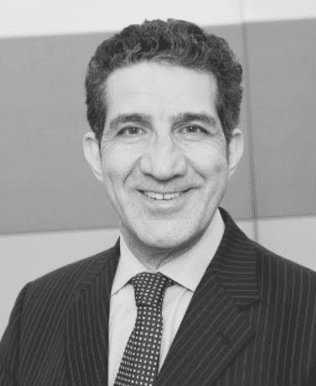 Dr. Farr Nezhat, a board-certified gynecologic oncologist and Medical Director of Nezhat Surgery for Gynecology/Oncology, is a pioneer and leading authority in the minimally invasive surgical treatment of malignant and benign gynecologic pathologies. He welcomes patients at two locations: New York, New York, in the heart downtown Manhattan, and Valley Stream, New York, in Nassau County, Long Island. His medical practice is a referral center for patients seeking treatment for gynecological cancers and complex benign conditions. His expertise lies in treating ovarian, uterine and cervical cancers; as well as severe and multi-organ endometriosis, pelvic masses, ovarian cysts and uterine fibroids. He is a clinical professor of obstetrics and gynecology who contributes prolifically to the scientific and medical literature, a frequent director of postgraduate courses, and a regularly invited faculty member at professional societies and congresses. His research and educational endeavors have earned him worldwide recognition. "Dr. Farr Nezhat has been my doctor for almost twenty years. I trust him completely, and have consistently been treated with superior expertise...and compassion." "Dr. Nezhat is amazing! Dr. Nezhat is one of the most skilled surgeons worldwide. I trust him with my life!" "This doctor is very caring. I love him and recommend him to all people who are suffering, He is also the best in oncology!" "I am so thankful for Dr. Nezhat and his staff, and for how much time he has put into studying endometriosis." "Dr. Nezhat saved my life some six years ago. He really cares. I would and do recommend Dr. Nezhat and always will." "Dr. Nezhat is an outstanding surgeon that is patient and understanding. I was grateful that he took the time with my very difficult situation." "My regular GYN doctor recommended Dr. Nezhat to me and I am forever grateful. We need more caring doctors like him around. I wish him much success in his practice."